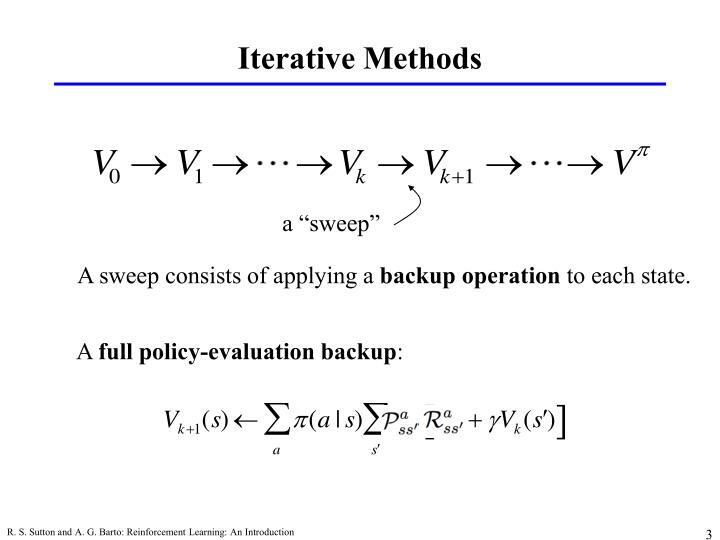 A sweep consists of applying a backup operation to each state. 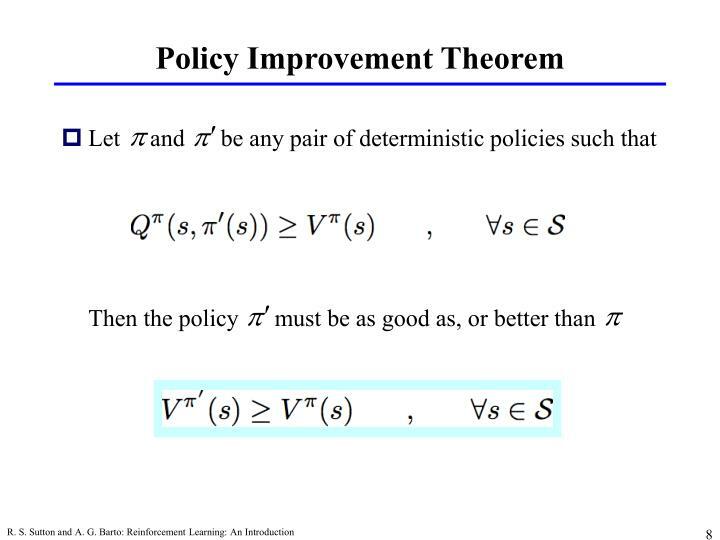 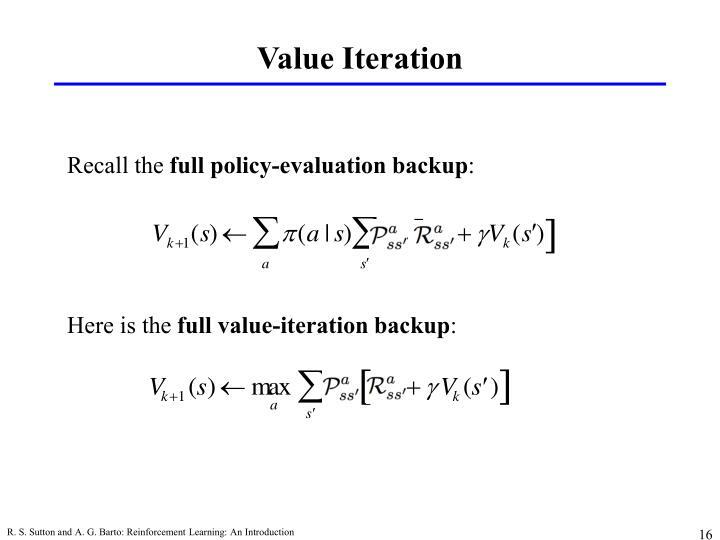 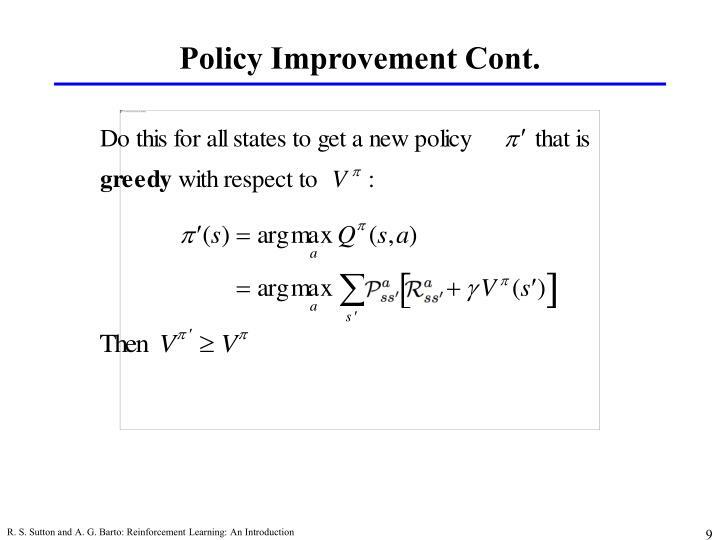 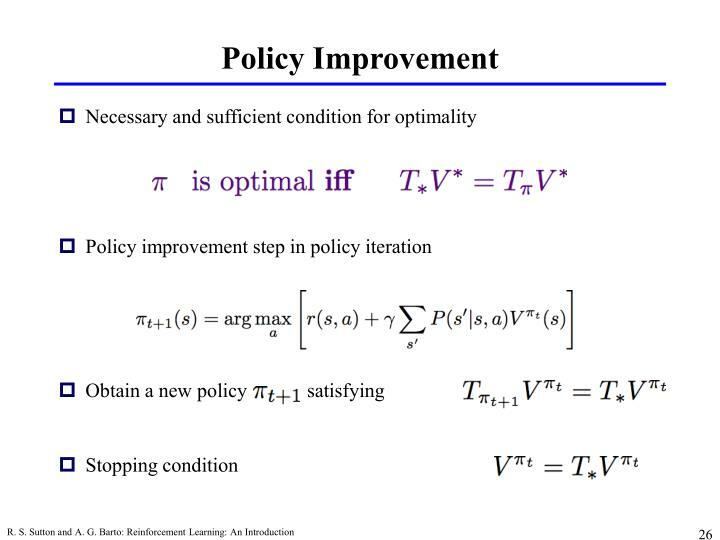 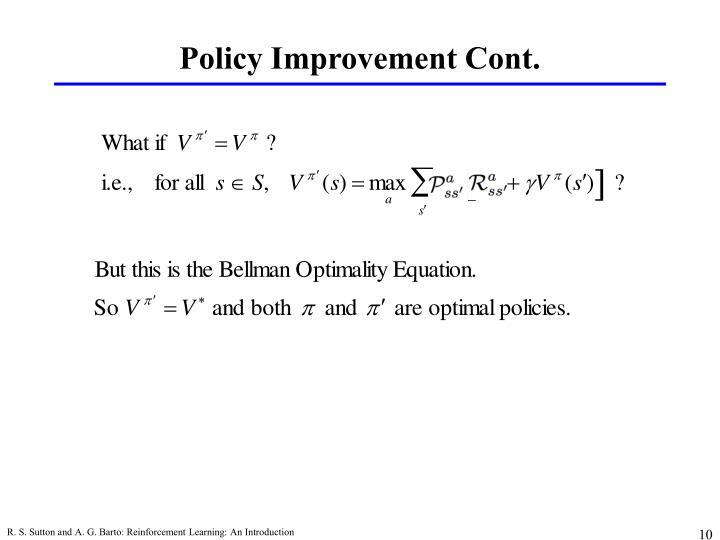 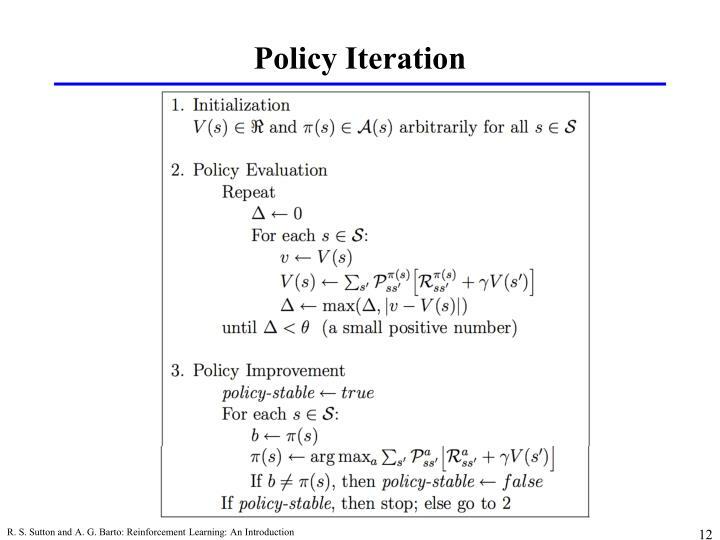 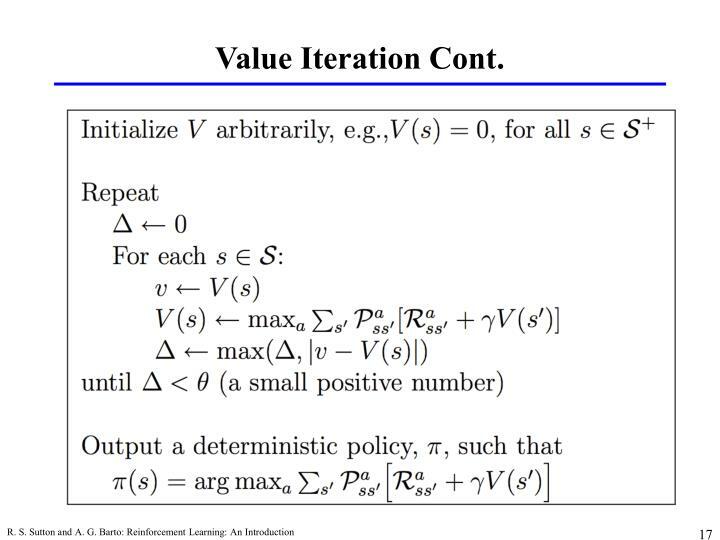 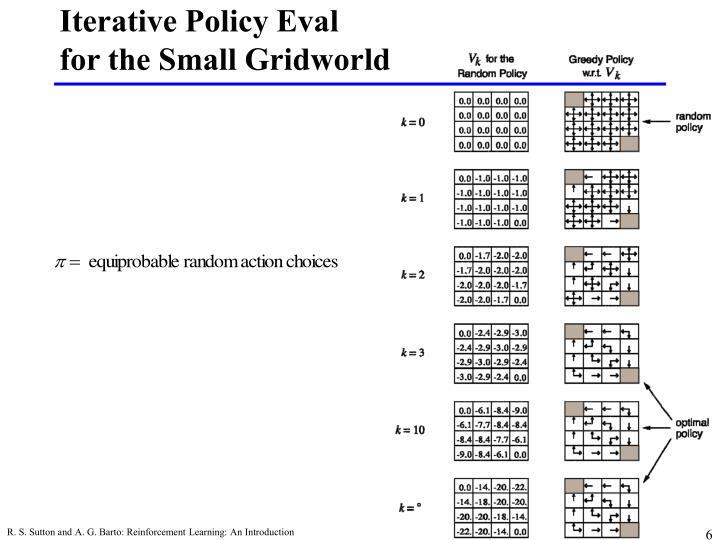 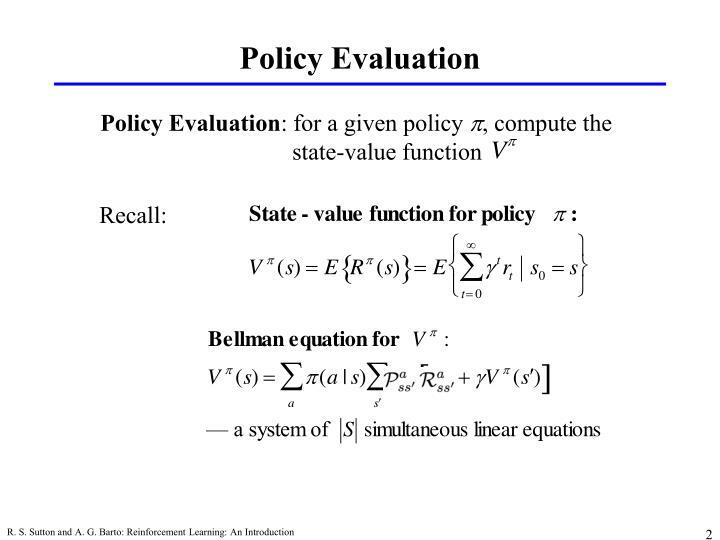 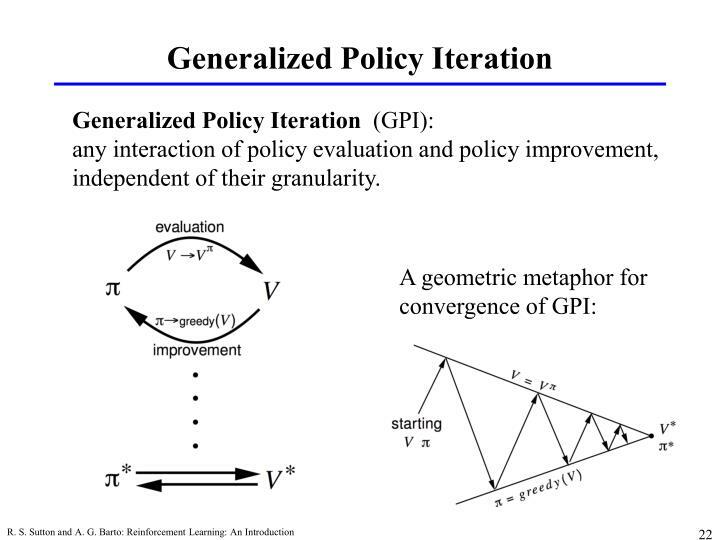 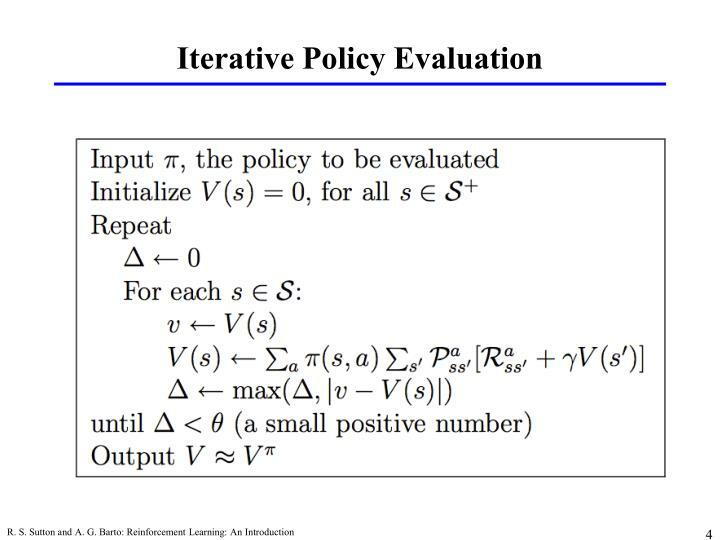 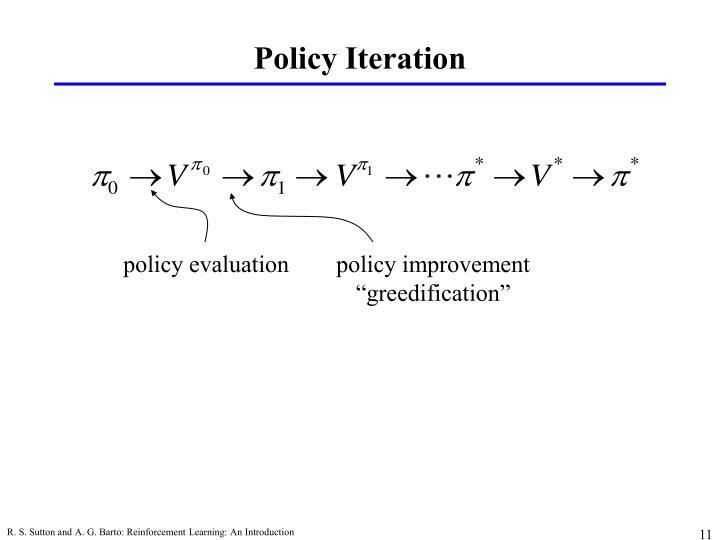 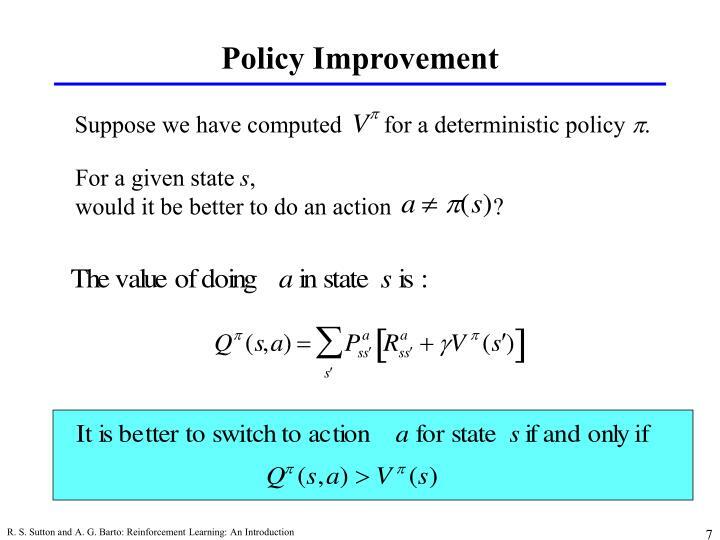 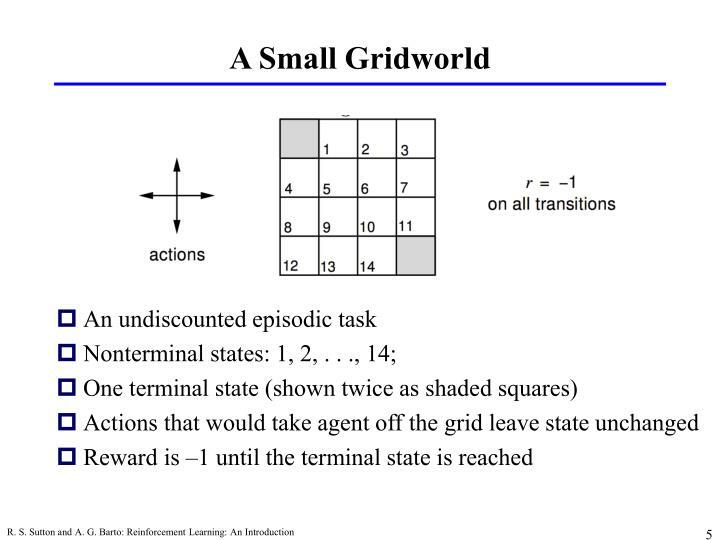 Suppose we have computed for a deterministic policy p.
would it be better to do an action ? 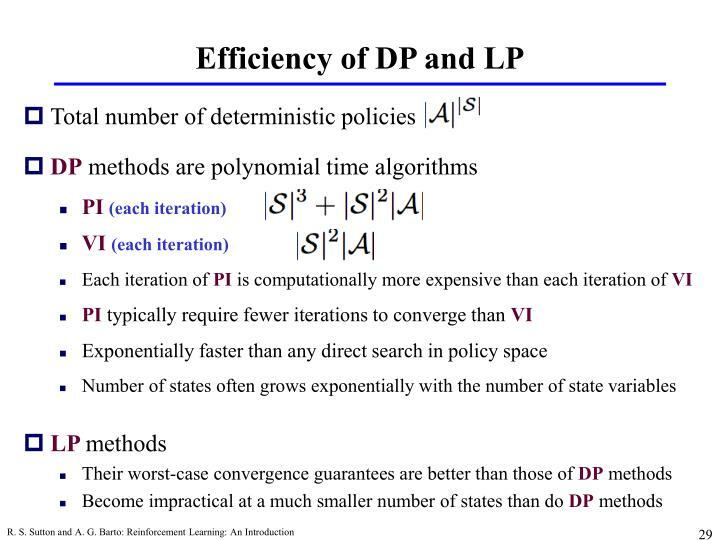 All the DP methods described so far require exhaustive sweeps of the entire state set. 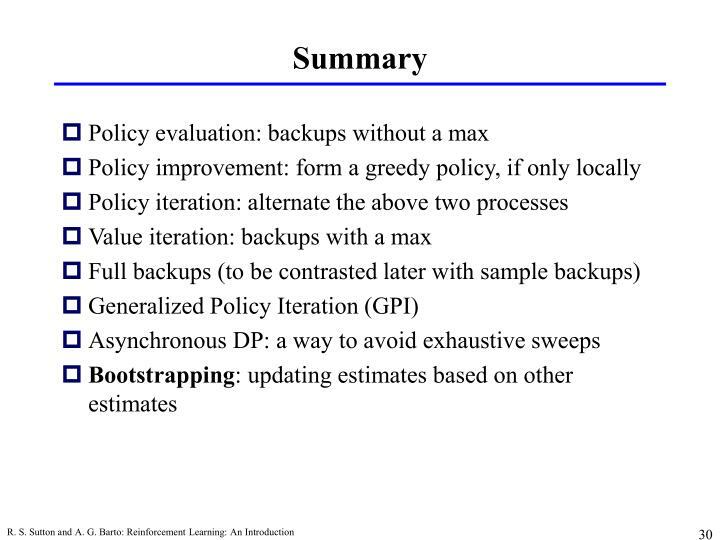 Can you select states to backup intelligently? 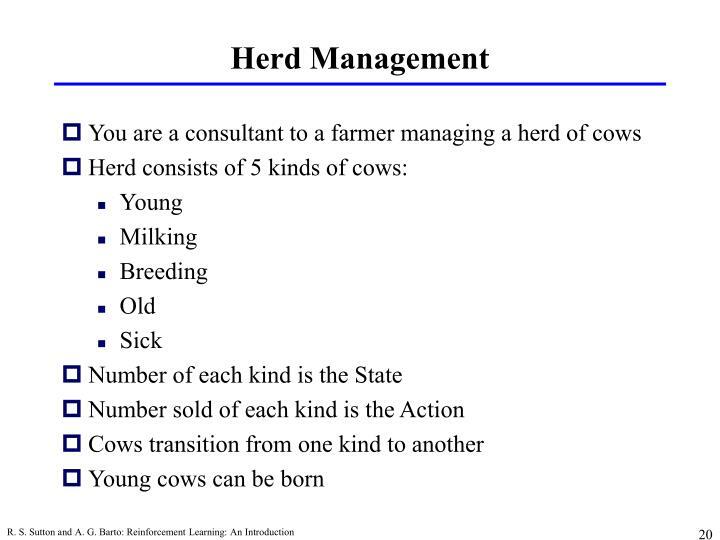 YES: an agent’s experience can act as a guide. 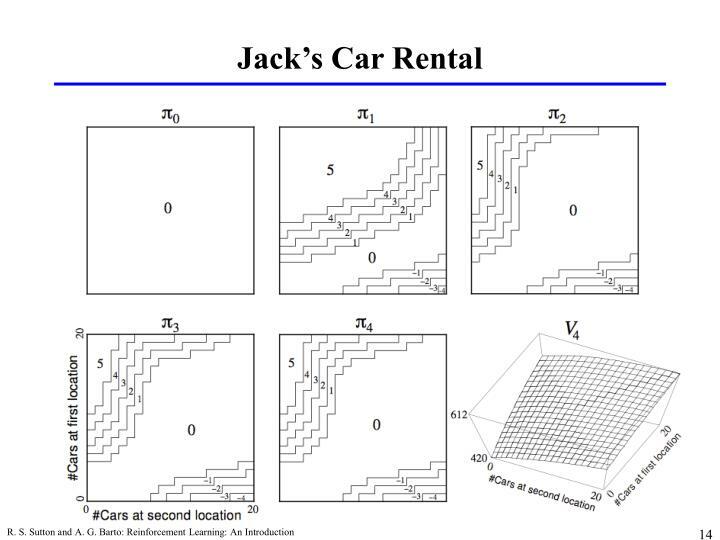 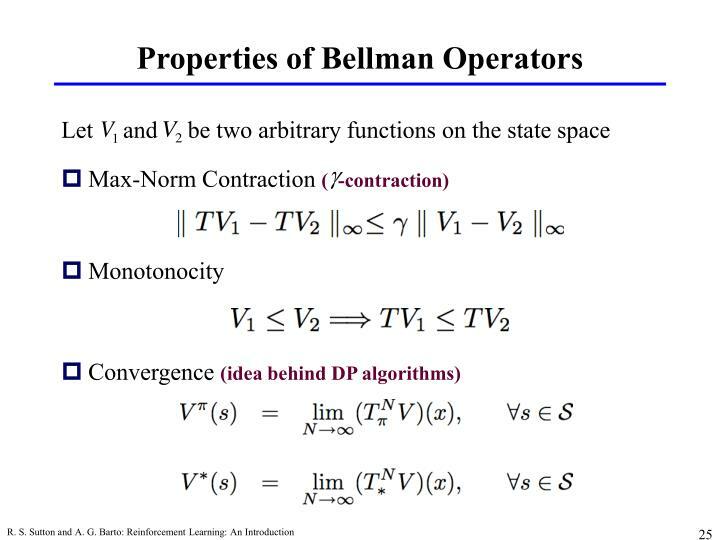 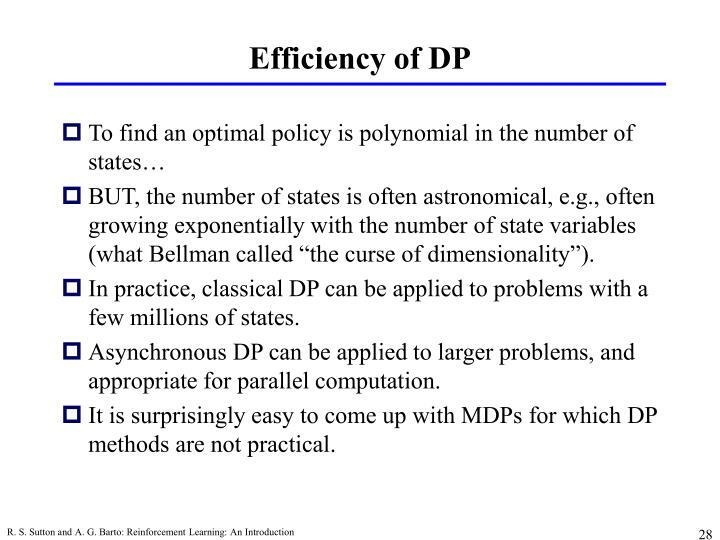 BUT, the number of states is often astronomical, e.g., often growing exponentially with the number of state variables (what Bellman called “the curse of dimensionality”). 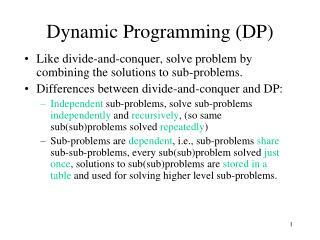 In practice, classical DP can be applied to problems with a few millions of states. 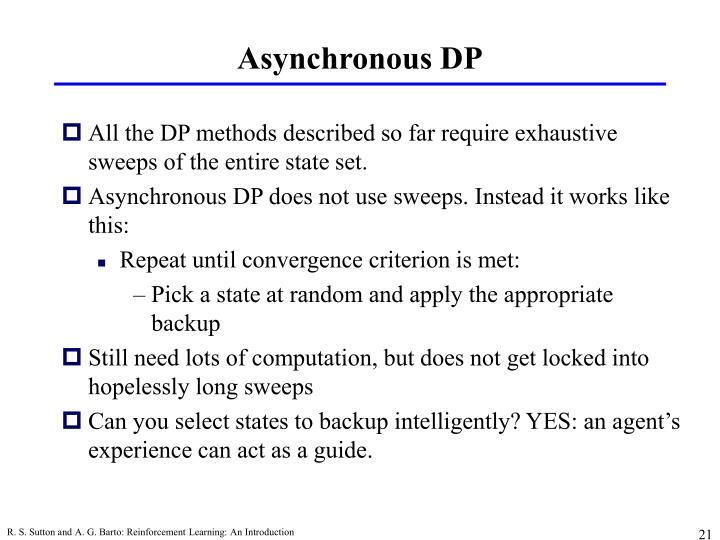 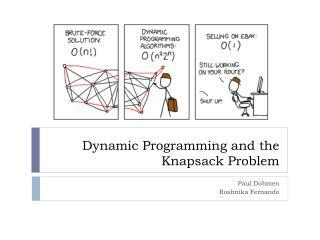 Asynchronous DP can be applied to larger problems, and appropriate for parallel computation. 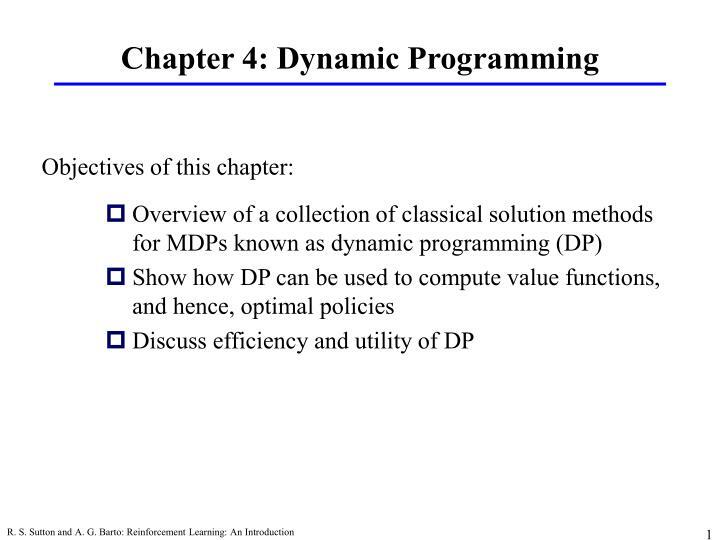 It is surprisingly easy to come up with MDPs for which DP methods are not practical. 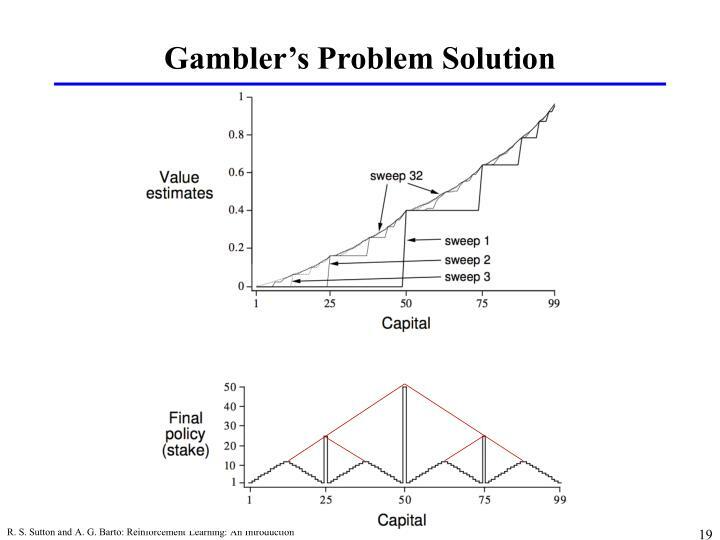 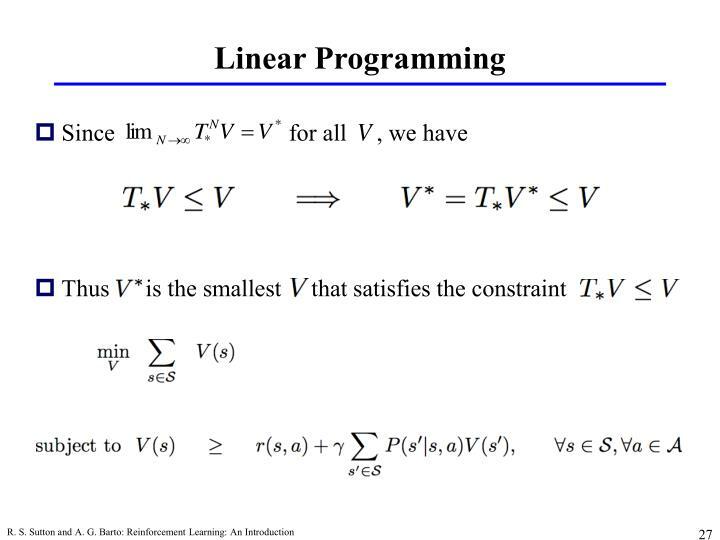 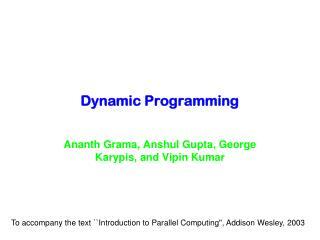 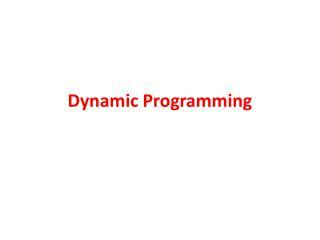 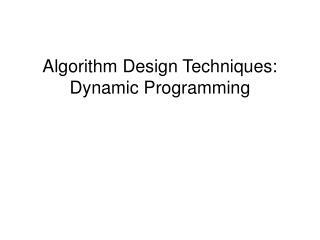 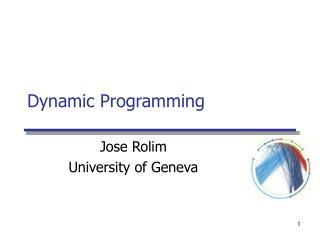 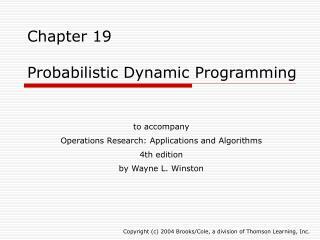 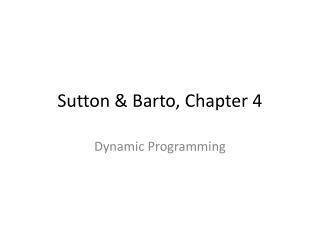 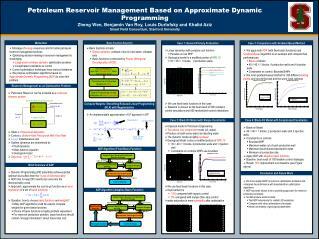 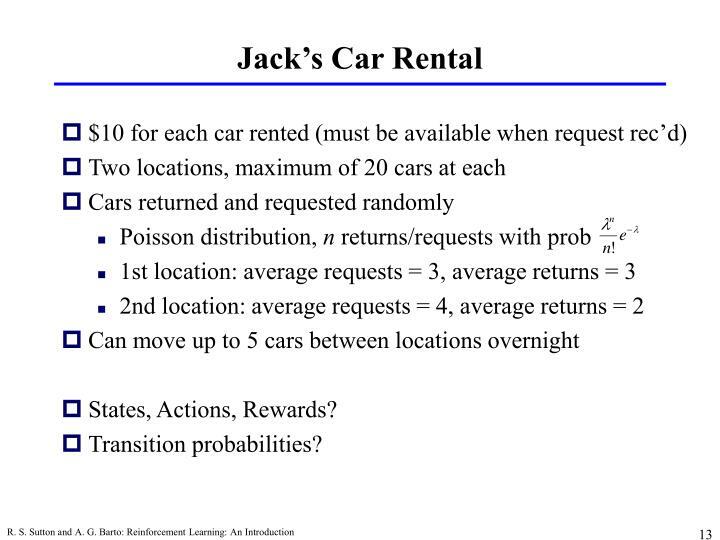 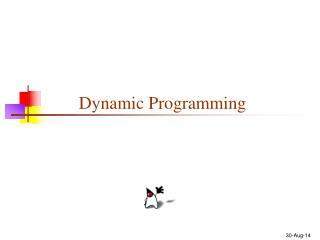 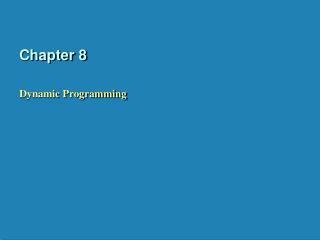 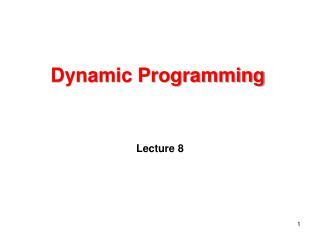 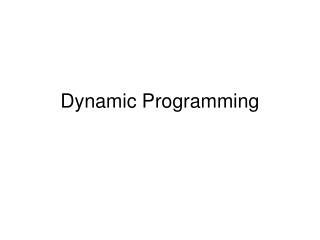 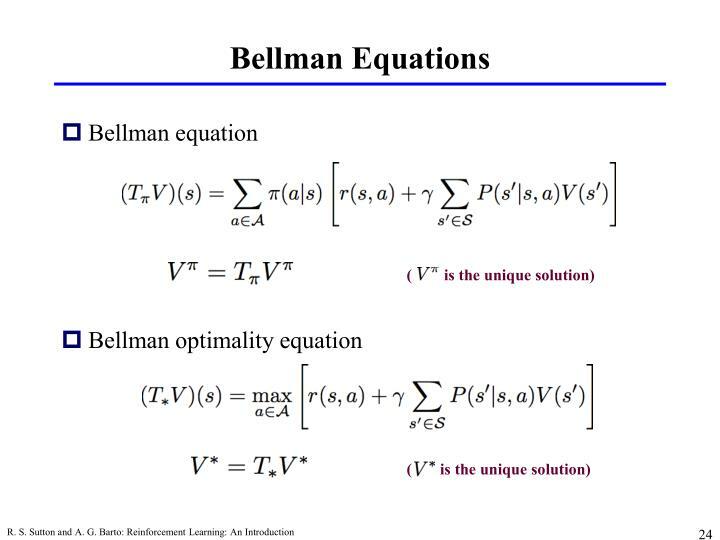 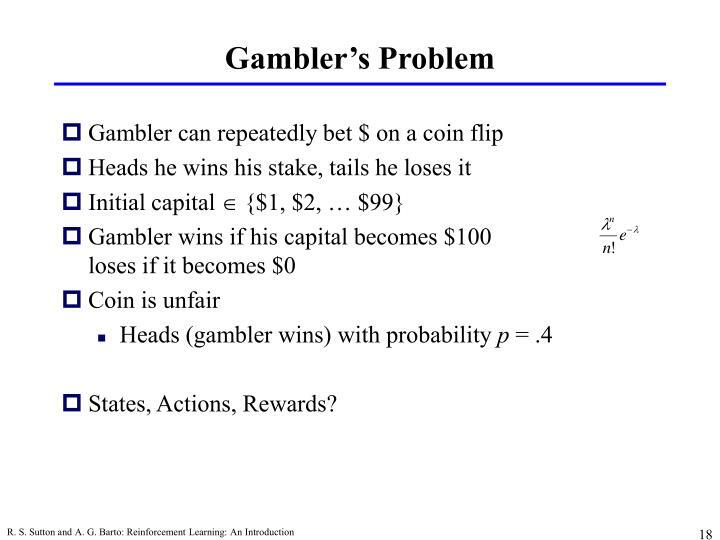 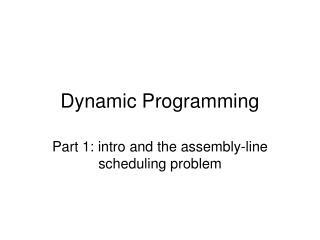 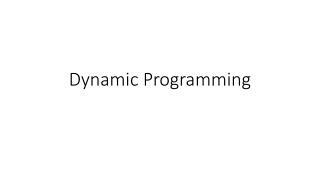 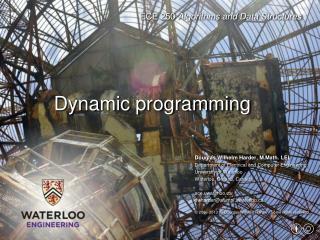 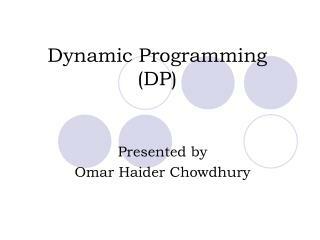 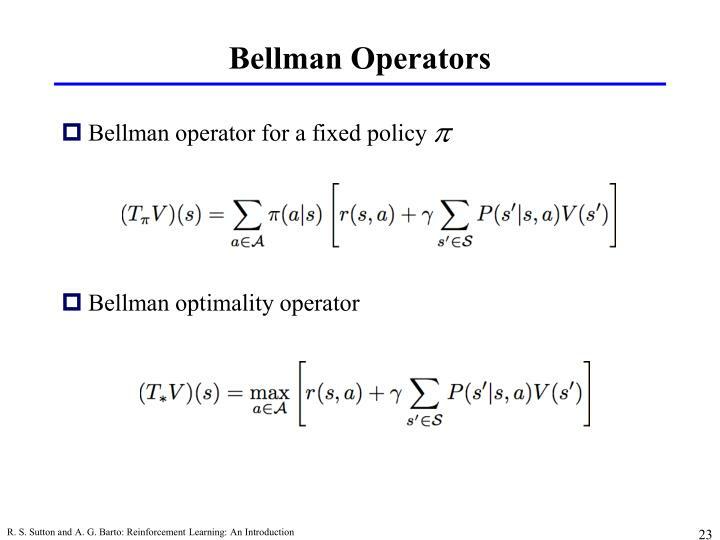 Chapter 19 Probabilistic Dynamic Programming -. 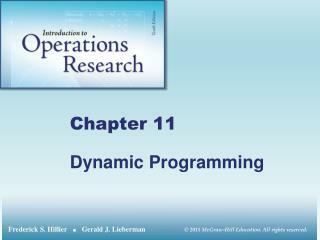 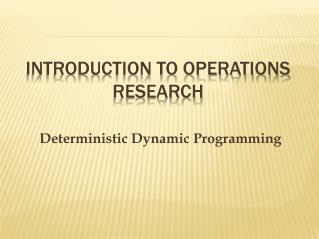 to accompany operations research: applications and algorithms 4th edition by wayne l. winston. 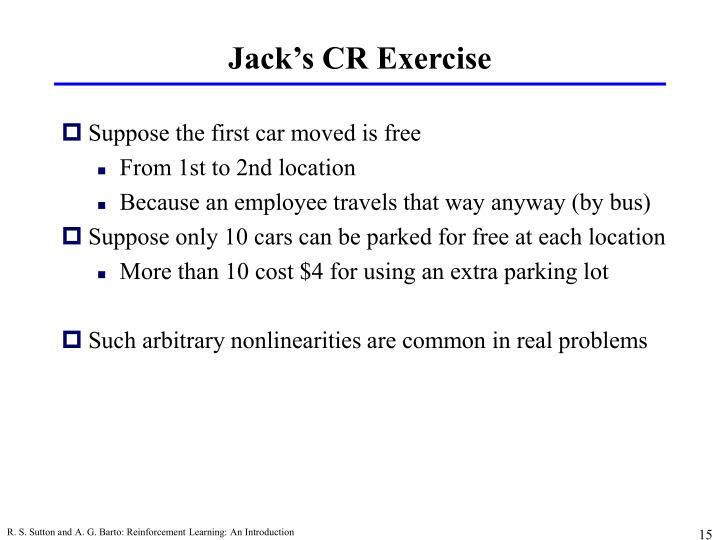 copyright (c) 2004 brooks/cole, a division of thomson learning, inc.